We already know generally what needs to be done. Stop eating some stuff and start eating other stuff. But we have to spend a little time getting a little more specific. So here are some specifics you could do. I should have started with this but diet is nothing more than what you eat. It doesn't mean restricting what you eat. Everyone is on a diet. One of the things that you should do is start with the REASON that you want to have a specific diet. Then you know how use the right diet. A good diet plan could include an occasional visit to a fast food joint although they aren't the best place. There are usually salads and grilled chicken available which would fit into a good diet plan (I would take the bread off the chicken or get a wrap), but that's not what we are going to order when we visit. We get the supa dupa extra large fry and coke with a triple grease burger, extra cheese and how about an apple turnover! Truth is 80% of us need to make dramatic improvements in our diets. A good diet plan with exercise will help you loose belly fat, get more energy, get better sleep, drop pants sizes, and increase the length and quality of life. You deserve these things and so does your family. But What's A Good Diet Plan? "What is a good diet plan?" That's a popular question. You will hear different people with different opinions, especially when attempting to accomplishing specific goals whether it's losing weight, losing fat, losing pants size, etc. Generally speaking, for overall improvement in health a good diet consists of quality nutrient dense foods with low saturated and trans fat. Mono and Polyunsaturated fats are actually good for you. It should also be high in protein and fiber and consist of plenty of water. Pic the times that are good for you. Small, frequent meals keeps the metabolism up and helps the body to digest more efficiently. Eating in the morning is absolutely necessary which is only logical if you think about it. You are starting the day from a sleep. You body needs the kick plus you will have time to be active and able to work off some calories. Throw in complex carbohydrates like beans and whole grain and you are off to a very healthy start. 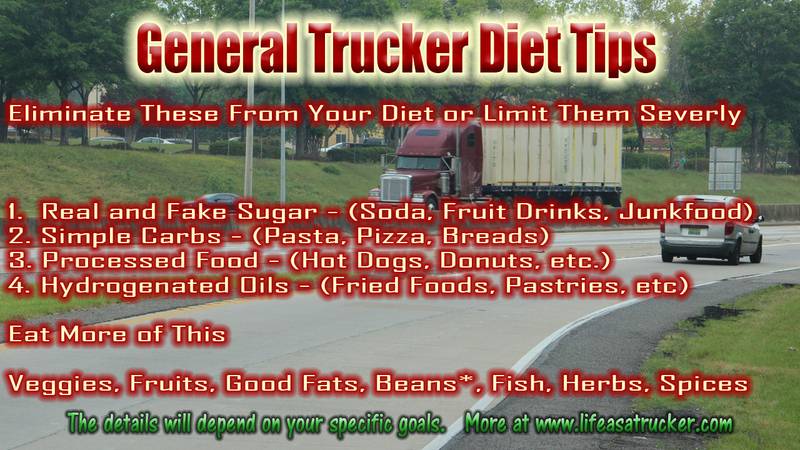 That is a good diet for truckers and most other people too. Eliminate Simple carbs like white rice and white potatoes. Replace with water, black coffee is better for energy. It has beneficial properties. However, too much coffee (caffeine) is harmful too and if you add sugar or flavoring with sugar...its a problem again. Bring Stevia on the road with you. If you use mayo use real regular mayo not light or diet and not miracle whip. I used a little mayo when I first started eating tuna. Later I decided I did not even want those extra calories either until I reached target weight. A good diet plan is to your body what a scheduled preventive maintenance is for your car. Eating properly could not only give you a better quality of life but save you money because of less body break downs and doctor visits. You will have a decrease chance of developing nasty illnesses or debilitating diseases. It simply makes sense to eat a better diet. 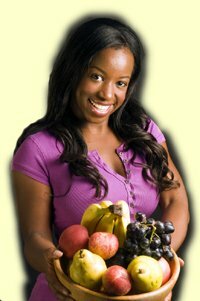 Have you had any success in loosing weight? How did you do it? How do you stay on track making better choices of food? What do you eat regularly? Do any of you cook in the truck? the crock pot idea is genius. Not all calories are equil. Healthy fats and vegetables are what I eat. Has anyone heard of type 3 diabetes ? Regarding the video entitled "Trucking Tip--Truck driver healthy eating by KDTDECA4": I couldn't understand a word that man said. Some people have a thing about going on a diet. You are already on a diet. All of us are on a diet. A diet simply is the food that you eat. That is your diet. If you ask someone what is your diet. It simply means what do you eat regularly. So don't be afraid of the word diet. What you want is a healthy diet which consists of nutritious foods so that you help your body to perform efficiently as possible. Eating a healthy diet will help you lose weight, and drop your blood pressure and cholesterol and lower your risk of disease. Why wouldn't you do it? It's cheaper (contrary to popular belief) both now and later. Because if you don't eat reasonably you will likely become sick or overweight. That is going to cost you money and might even put you out of the truck. So you can make excuses for why you can't do it or you can do it. By the way, I lost weight as an OTR driver and stayed within 5lbs of 200lbs for about 10 years. So yes it is possible. The question is do you want to do it, or make excuses?